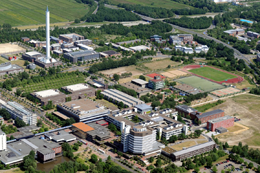 The eScience Institute is a cooperatively operated competence centre for computing, data storage and networking infrastructure, multimedia solutions, applied information technologies and communications systems as well as communication networks and mobile networks. The main focus is to support the complete scientific lifecycle, from background research, through simulation and experimental design, data collection and analysis to publication. eScience Institute has expertise in managing, analyzing or visualizing data, in developing algorithms, in managing clusters and storage resources, and in finding the right place to compute and to store the data. The main focus of eScience Institute is Knowledge discovery in data bases (KDD). KDD is the non-trivial extraction of implicit, previously unknown and potentially useful knowledge from data. It blends together sound mathematical methods and automated techniques to discover knowledge. Self-organizing maps (SOM´s, i.e. Kohonen self-organizing maps) are used for visualization, prediction, clustering and modeling of the (individual) outcome. Based on the results of KDD methods many knowlegde based systems in many medical areas (e.g. oncology, cardiology, laboratory medicine, intensive care) are developed in eScience Institute to support the medical decision process and to improve the quality of medical results. Approximately 300 children have been transplanted in the Unit and yearly 20-25 patients undergo HSCT. About 60% of the patients have received HSCT for diagnosis of a non-malignant disease and the rest consists of hematological malignancies. The eScience Institute initiates and coordinates national and international projects on use of ICT in research area; identifies, develops, accumulates and disseminates collaborative research scenarios; collaborates with universities, corporations, agencies, and community-based organizations to design, develop, use, and evaluate systems that support the scientific life cycle. BMTCARE - Interactive Educational Material for Pediatric Bone Marrow Transplantation Nurses, Leonardo, 2010.